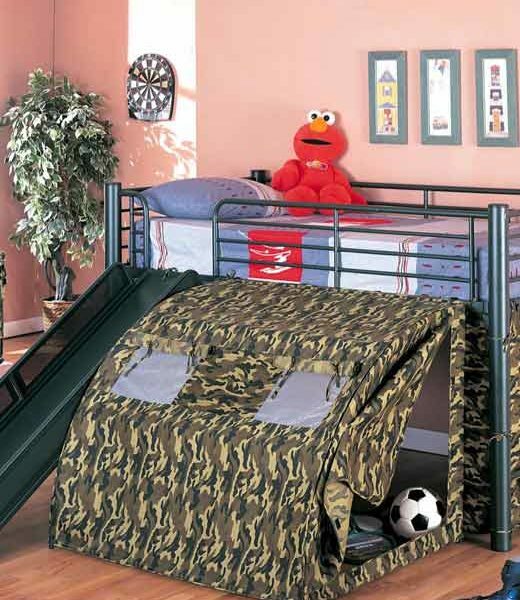 This fun loft bed will be a welcome addition to your child's bedroom. 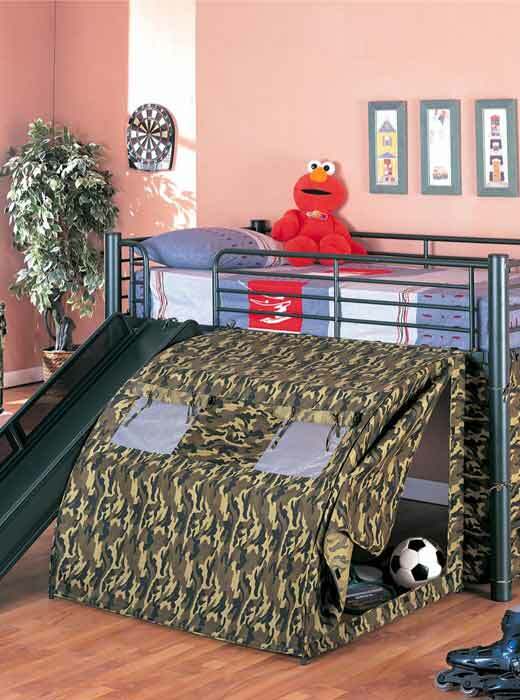 Create a cool fort for your little one with this lofted twin size bed. The simple tubular metal frame offers sturdy support, with safety side guard on all sides. The Oates collection will give your child’s room a fun look that everyone will love. Crafted of tubular metal, these pieces are sturdy and safe for your kids. A Black metal finish, or bold Multicolor in primary colors will complete your child’s bedroom ensemble with a stylish flair.